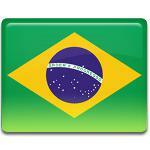 The national holiday Independence Day is observed annually in Brazil on September 7. This holiday was officially established in 1949 to celebrate the date, when Brazil declared its independence from the United Kingdom of Portugal, Brazil and the Algarves. Napoleon Bonaparte invaded Portugal in 1808 as the result of the country's refusal to participate in the trade embargo against the United Kingdom. The Portuguese monarch moved the Court from Lisbon to Rio de Janeiro, the capital of then-Colonial Brazil. In 1815 the United Kingdom of Portugal, Brazil and the Algarves was created. In 1820 the royal family had to return to Portugal and the Portuguese Assembly demanded Brazil to return to its former condition of colony. Pedro, Prince of Brazil, refused it and proclaimed independence of Brazil on September 7, 1822. Portugal recognized Brazil as an independent state only in 1825. Annual military parade attracts thousands of viewers, who celebrate Brazilian Independence Day. A grand military parade in Brasília, the capital of Brazil, is attended by President of Brazil. Similar parades are held in every state capitals of Brazil.